In today’s article, I will be addressing the best option to process EDI data, exchanged between business partners, by identifying the advantages and inconveniences of two methods; an EDI Service Bureau and a Translation/Integration solution. It’s not a surprise to business people that exchanging business data using EDI protocols and formats has been around for a while and is clearly here to stay. If you’ve stumbled upon this EDI article, then you are perhaps either interested in enhancing your EDI capabilities or looking to implement EDI in your business environment. 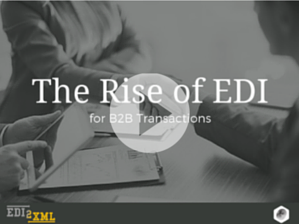 Either way, it is proof that EDI is still in demand in the business community. As this is my first time addressing EDI through a Service Bureau in my blogs, I will clearly define and explain what a Service Bureau does and provide my opinion on the topic. EDI Service Bureaus have been around for many years. They were created as a third party provider sitting between business partners. How it works is simple. The Service Bureau receives EDI data from one partner to process into a human readable format (on behalf of the destination partner) and then send out to that destined business partner. For outgoing EDI documents, the partner would return the information to the Service Bureau in the same formats as mentioned above (i.e. paper, PDF, Excel or CSV documents). Nowadays, some Service Bureaus provide web-based interfaces for their clients, to manually enter the data in order to generate outgoing EDI files to be sent to their partners. If the data is treated in a web-based format, the business would need to login to the Service Bureau web portal, retrieve the data (orders, invoices, etc. ), print or export the document, and then either key it in manually into their own management system or import it from CSV, only if their internal system supports this kind of process. When the EDI converted data is sent as a paper document or PDF (received by either fax or e-mail), the user will then have to key the information received in manually into their system, without question. When the data is received in Excel or CSV format, the user can either key in the data manually or import it into his internal ERP system. The same concept applies for outgoing EDI documents through Service Bureaus. In all cases, the business has to either key in data in Excel or manage it through a web-based interface provided by the Service Bureau. As you may have noticed by now, exchanging EDI via a Service Bureau is not the most efficient way of communicating with business partners (click to tweet). In fact, the likelihood of human errors and inefficiencies are very high. In this day and age, where there are constant improvements in technology, it is extremely inefficient for SMEs to be keying in orders received by EDI (through paper document or PDF) (click to tweet). Even with the web-based alternative that Service Bureaus offer, it is still unproductive to manage multiple systems rather than having one single platform with full EDI capability. Once businesses have switched from using a Service Bureau to implementing an EDI translation and integration solution, they have eliminated all kinds of inefficiencies and human errors and have become much more efficient. The way it works is by having a fully integrated business solution in place that has built-in capability to process incoming and outgoing EDI documents. Refer to my previous article entitled See What It Means To Be Fully Integrated with an Efficient Business Software Solution that expands more on integrated solutions. 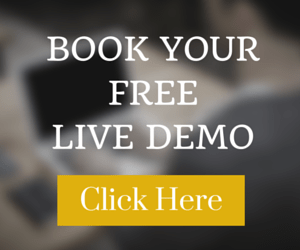 However, it is very common for business owners to be hesitant to implement a fully integrated solution into their small business, as they believe all ERP systems are expensive. That is simply not the case anymore, as we are in 2014 and IT solutions have become very affordable. 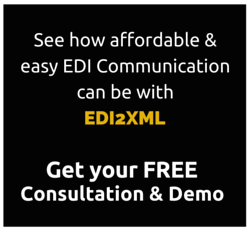 EDI2XML offers affordable EDI integration that fits into the budgets of small and medium sized businesses (click to tweet). What Is The Best Option: EDI via a Service Bureau or a Translation & Integration method? As a professional IT consultant and developer, I have helped many small and mid-sized businesses streamline their business processes for over 20 years. I truly believe a fully integrated process and solution would be the best option to go with. Not only is it more efficient for your company as a whole but is also affordable. I have already published my arguments in a previous article entitled EDI integration projects: Advantages and Benefits. 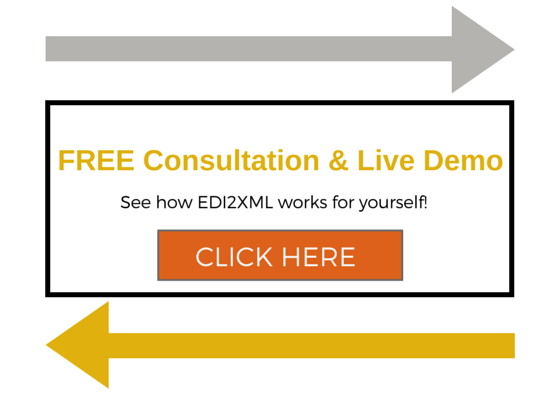 If you are interested to learn more about this topic or any other issue related to IT or EDI, please click on the image below and I will be more than happy to contact you for a FREE consultation.